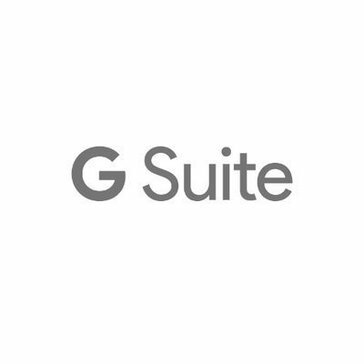 G Suite Marketplace reviews by real, verified users. Find unbiased ratings on user satisfaction, features, and price based on the most reviews available anywhere. DocuSign pioneered the development of e-signature technology, and today offer the world’s #1 e-signature solution. DocuSign’s broader cloud-based System of Agreement Platform allows companies of all sizes and across all industries to quickly modernize and digitize the entire agreement process—all the way from preparing agreements to signing, enacting and managing them—from almost anywhere in the world, on practically any device. DocuSign relieves businesses from painful manual processes by: -Allowing for the easy tracking and archival of agreements -Satisfying legal requirements for storage -Standardizing key business processes -Removing need to manual entry of important information ...all the while delighting needs of today’s digital-first mobile customers. The result is significantly reduced error rates and incompletion rates, hard and soft dollars spent on administrative processes, improved standardization and centralization of key company documents, and all adds up to saved time. 85% of DocuSign agreements are returned within the same day. DocuSign’s platform has 350+ pre-built integrations with popular business applications such as Google Suite, Salesforce, Box. Additionally, DocuSign’s API enables embedding and connecting DocuSign’s into websites, mobile apps, and custom workflows. Just hit send and let Mixmax-imize your impact! Mixmax’s unparalleled email management and powerful workflow automation turbocharges you sales team’s 1-to-1 email communication. Our engagement capabilities make your sales teams, customer success teams and recruiting teams more productive by eliminating manual and administrative communication tasks. Popular features include: 1 click scheduling Elimination of double booking on an individual or group calendar, The ability to know who opened your emails and when (even when sending to a list) Saving time with templates Sending personalized email campaigns at scale Enhancing emails with media such as polls, surveys and other rich media Dialing prospects directly from Gmail (the call notes are automatically added to your CRM) Mixmax Rules lets you easily create powerful workflows - based on content and actions in Gmail - across applications you already use, so you get more out of your tech stack investment. With a simple point and click interface you can create workflows like these (and more) in seconds: When a prospect signs up for a webinar on your website, automatically add them to an email sequence Automatically send out a Slack message (or create a Slack channel) when a sales contract is signed Use a completed DocuSign document as a trigger to automatically create a task in your CRM to start the account onboarding process. When a new employee signs his/her offer letter, send out a company or department announcement or update your ATS Try Mixmax today and see how you can drive revenue through higher productivity, increased customer engagement and shorter sales cycles. The Freshdesk Gmail gadget pulls up contact information, all recent tickets from this customer, gives you a complete context that you need to start working on the ticket even before you shoot out the first reply. MailTrack.io is an email tracking app for Gmail that lets you know if the emails youve sent have been read or not. Mailtrack extension adds the double check marks to your Gmail. Copper was built to deliver a seamless experience that puts email at the core of your workflow. We allow you to concentrate on selling more with a CRM thats focused on design, usability and automation. Zendesk Chat lets you chat with customers on your website and give them real-time support. Gusto automatically calculates, pays, and files your federal, state and local payroll taxes, as well as W-2s, 1099s, and new hire forms. Wrike is a project management add-on for G Suite. Expensify automates every step of the expense reporting process from receipt scanning to reimbursement. Smartsheet for Gmail Add-On allows users to add emails and attachments to new or existing rows in Smartsheet without leaving Gmail. Lumin automatically works with Gmail and Google Drive, allowing you to view your files or email attachments without downloading them. Calendly for G Suite is a simple, modern interface that works seamlessly with Google calendar so you're never double booked. incwo displays your CRM data right into Gmail, and syncs with your Google Calendar. Google Apps Tips is packed full of the things that make you more productive and make you smile even more when youre using Google Apps. Business Hangouts brings Webinars and Webcasts to Google Apps for Enterprises, Schools, Marketers and Government. Zoho Campaigns offers a wide range of G Suite using single sign-in integration with the Google account. Samanage SaaS IT Asset Management software helps you keep track of your computer and software inventory, view changes to assets and know who is using each asset. 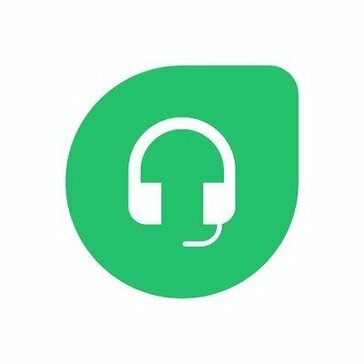 Dialpad for G Suite is a business phone system built for Google Apps users. DocHub streamlines document signing, distribution and form completion. The HubSpot App makes it easy to organize, track and grow your sales pipeline. It plugs seamlessly into Google Apps, so you can stay organized without any extra busywork. QuickBooks is an easy accounting software which is built for your business and approved by accountants. GTasks add-on for Google Sheets integrates your Google Tasks with Sheets, allowing you to tackle your to-do list and manage them effortlessly. Teamwork.com for G Suite is a task and milestone managment solution. GradeProof is an artificially intelligent proofreading for Google Docs that corrects spelling, grammar and phrasing. Timetastic is the super-simple staff leave planner used by over 100,000 people to organise their time off work. It’s the online, mobile and paperless way to manage staff leave which gets rid of holiday forms and spreadsheets. Sortd for Sales is a simple, lightweight tool for Gmai and G-Suit that helps you to grow your business and sell more. Samanage SaaS IT Service Desk software helps you manage support requests submitted by your users. Pipedrive is a sales management tool designed to help salespeople get more organized. Pipedrive delivers a simple experience that just makes sense from a salespersons perspective. Supermetrics for Google Sheets is a powerful add-on that turns Google Sheets into a full-blown business reporting system for SEM, SEO, web analytics and social media. Zoho Connect for G Suite is an employee collaboration tool. G-Connector unlocks the Salesforce data loading functionality of the popular Microsoft Excel add-on in the Google Drive environment. DocuSign allows you to Sign, send, track, and manage documents right from your favorite G Suite applications. Nutshell is CRM software that helps small-business sales reps win more deals. QuickBooks Invoicing sends professional invoices without leaving Gmail. Theres no subscription fee and it works for anybody ,even if youre not using QuickBooks. The Google Analytics spreadsheet add-on brings you the power of the Google Analytics API combined with the power of data manipulation in Google Spreadsheets. Hunter lets you find email addresses in seconds and connect with the people that matter for your business. Hi there! Can I help you find the best G Suite Marketplace solutions?